Clearly is a brand that I've followed for over 5 years, and I feel a great sense of pride knowing about the amazing work they do today. Promoting eye health through events like World Sight Day, and giving back with their glasses donation program, are just a few steps towards helping the world #SeeClearly. Not to mention their incredible customer care team who keep me (and my friends!) coming back time and time again. Clearly is running a photo contest until October 25th where you can submit one of your favourite outdoor shots to win a $500 gift card to their store. Enter HERE. As someone who suffers from dry eyes, I'm so happy to have gotten a little care package from my friends at Clearly with Opti-Free Pro eye drops for contact lenses, some Nerd Wax to keep my glasses from falling down my nose (#thestruggleisreal), and an eye mask which I'll use when I travel. They also provided me with a card to gift to someone to redeem for a free pair of glasses. It's crazy to think that 2.5 billion people live with vision impairment globally, and 80% of blindness and visual impairment is avoidable. 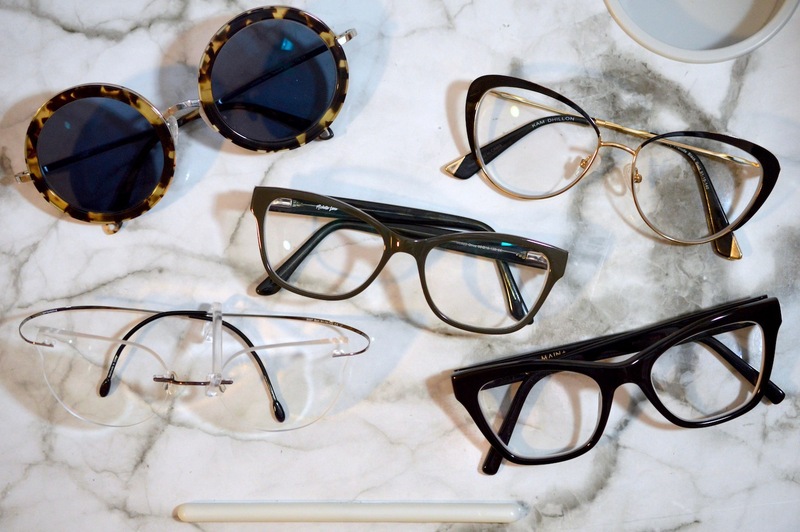 We're so lucky to have access to amazing optometrists and affordable glasses here in Canada. Thanks to Clearly, I can afford to get both sunglasses, and regular glasses with the insurance money that I'm allotted every two years. They even do eye exams in-house, so if you're around Queen St. W in Toronto, be sure to make an appointment and #PutVisionFirst.